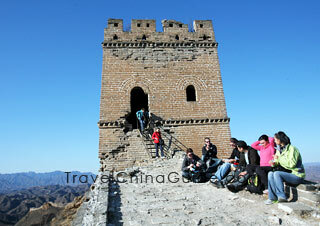 The Simatai Great Wall partially reopened on January 1, 2014, after being closed for renovation since July 2010. Only ten watchtowers are now open to visitors and a new building Gubei Water Town (Beijing Wtown) is also open at the foot of the wall. However, the path connecting to Jinshanling Great Wall is blocked, therefore, the classic Jinshanling to Simatai hike is currently closed. There is no news on when the path will be open. We will update you as soon as we get more news about the wall. 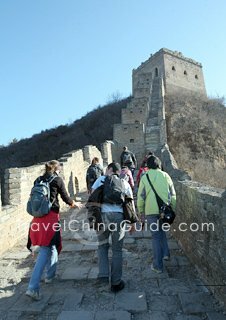 Small agents or illegal private guides might offer you this Great Wall hike Jinshanling to Simatai through unofficial paths, but we suggest that you do not go with them as it is illegal and risky. You can climb either Jinshanling or Simatai sections, or other sections which will provide you with the same wild and genuine experience, such as Gubeikou and Jiankou. 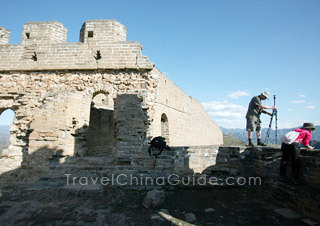 See our Jinshanling Guided Hiking and Simatai Independent Tour. Highlights: Simatai joins the Jinshanling section at the border between Beijing and Hebei province. The wall here has never been restored and its original 400-year old appearance has been well preserved. Because it is full of challenges and set in splendid natural scenery, this section has been a favorite for hikersand photographers from all over the world. Most magazine photos of the Great Wall of China are taken from this section. As it takes about 3 hours one way from downtown to Jinshanling, you'd better set off early in the morning. You are advised to arrive at Dongzhimen Station by 8:00am and take bus No. 970 or No. 980 to Miyun County. The first shuttle bus No. 980 starts at 6:30am, and runsevery 10-20 minutes. At Miyun, you can hire a car or take a taxi to Jinshanling. Bear in mind to bargain with the driver and settle the price at about CNY50 per car. You will arrive at about 11:00am. As there are no food outlets on the wall, you might like to have lunch at a small restaurant at the foot of the wall unless you have brought along some take-away food and bottled water. A special tourist bus from the Wangjing West Subway Station (intersection station of Line 13 and Line 15) to the attraction is also available, but it only operates on weekends and holidays between April and November. The bus leaves from the Exit B of the Wangjing West station at 8:00am, and gets back to the city from Jinshanling at 3:00pm. You only need to pay CNY 120 per person and enjoy a one-day Jinshanling to Simatai tour package including the round-trip bus fares and the entrance fee for Jinshanling. The admission fee toJinshanling is CNY65 from March 16th to November 15th and CNY 55 from November 16th to March 15th (no need to worry if you take the tourist bus). 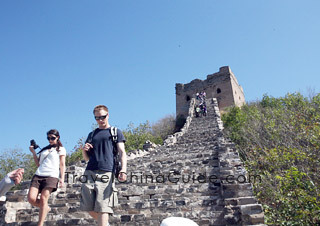 Walking along the road leading to the scenic resort, you will find the "China Jinshanling Great Wall" building. Your challengeable Jinshanling to Simatai hike starts here. 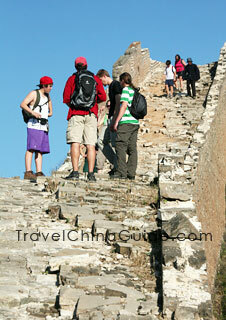 Tips: At the foot of the wall, some local people offertour guide services, charging CNY 30-50. They will also sell souvenirs. It's up to you to decide if you'd like company on the hike - otherwise just ignore them. 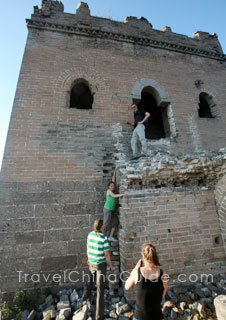 Crenel Building (Zhuanduokou Tower) is the first tower you will see and also the entrance to Jinshanling. This part is not terribly damaged, so it is not that tough to climb. Walking eastward from Crenel Building, you will approach the 2nd watchtower (Qiangduolou Tower) and then the 3rd watchtower East Terrace (Dongfangtai Tower). Continue this Great Wall Jinshanling to Simatai hike toward northeast until you find a turnoff to the southwest which is leading to Open Tower (Changlouzi Tower) and Sifang Terrace (Sifangtai Tower). Ignore this turnoff and continue to walk eastward to the 4th watchtower Storage Tower (Kufanglou Tower) and the following 5th and 6th watchtowers of West Tower (Xichenglou Tower) and West Terrace (Xifangtai Tower). Climb forward to Shalingkou Pass. Go on to pass the 7th, 8th, 9th, and 10th watchtowers, then a turning watch tower erected on the cliff in front of you, which is the 11th watchtower Little Jinshan Building. The 12th watchtower Large Jinshan Building is just about 100 meters ahead. From here, the wall becomes more dilapidatedand shabby, which makes us conscious of the need to protect it. The road is steeper and more ruined on the left part. You must mind your steps as both sides of the wall are cliffs. It's better to hike the wall with companions in case of any emergency. From now on, you can only "climb" on the wall (i.e. scramble up). Continue to hike northeast from Large Jinshanlou Tower and you will pass the 13thto 18thwatchtowers, namely Yaogou Building (Yaogoulou Tower), Unnamed Building (Wuminglou Tower), Houchuan Building (Houchuankou Tower), Shazi Building (Shazilou Tower), General Building (Jiangjunlou Tower) and Corner Building (Guaijiaolou Tower). By the way, between the Unnamed Building and Houchuan Building, there is Houchuan Pass, from whicha path stretches and leads to the foot of the mountain. From the Corner Building, you will enter the Simatai section. There will be someoneasking you to buy entrance tickets, which are CNY40 per person. This part has always been described as 'dangerous steps, densewatchtowers, various structures, artful design, and the beauty ofrare relics'. Parts were built along steep crags. Hikers must pay more attention to loose and broken steps. Different kinds of watchtowers are close to each other. Moreover, the environment of this section is also very good. There is a reservoir with limpid water all year round, which will give you quite a different feeling from theroughness of the wall. though there is a detour. Simatai section is more dangerous and broken than Jinshanling. It is divided into east and west sections by the Reservoir. There are 17 watchtowers on the west section and 15 watchtowers on the east. Today, you will hike through the west section and the first 8 watchtowers on the east sections. Starting from the Corner Building, you will pass anunnamed building (1st tower, not the one on Jinshanling), Black Tower (2nd), Tower with three holes (3rd) and Tower with five holes (4th), then turn left and continue to pass through the Small Arc-roof Building (5th), Large Arc-roof Building (6th), Wall made of real bricks, Nianzigou Tower (7th), Tower with three holes (8th), Tower with four holes (9th), Henggou Building (10th) and four unnamed buildings (11-14th). Now you will arrive at the 15th Watchtower – Little Hutong Building. Climb over the 16th watchtower (Sanyanlou Tower), you will get to the last watchtower of the west section - Corner Building (Zhuanjiaolou Tower). Here the Simatai is cut off by the Hot Spring Lake (the Reservoir). 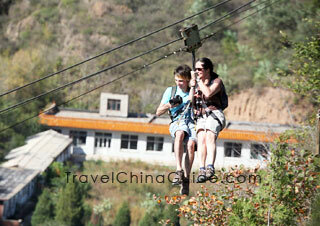 Take the chair-lift to cross over and reach the east section, or just walk across the chain bridge over the lake. Option One: After getting to the east section of Simatai, you will climb through 8 watchtowers to reach the White Cloud Building (Baiyunlou Tower), where you can take a chair-liftto the foot of the mountain. Option Two: If you are too tired to finish all the 8 watchtowers, you can take the cable car at the second watchtower to the lake half way down the mountain.Then take a battery-powered boat to the parking lot. Otherwise, there is a hillside road at the second watchtower leading to the foot of the mountain. Option Three: If you are still full of energy after arriving at the 8th watchtower (White Cloud Building), you can continue your tour of Jinshanling to Simatai west to climb forward to Wanghailou Building (the 11thwatchtower) and General Building (the 12thwatchtower). The section after the 12th watchtower is not open to tourists. For the way back, you need to return to the 8thwatchtower and then climb down the mountain. 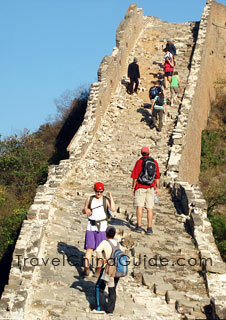 This Great Wall Jinshanling to Simatai tour will come to an end. After getting to the foot of Simatai, you can hire a car to Machang, where there are lots of buses to Miyun County. The charge is about CNY20-30 per car. Take a bus to Miyun Bus Station at a cost of CNY5-10 per person. You'd better get to the Miyun Bus Station by 18:00 inorder to catch shuttle bus No. 980 back to Beijing. 1. This section of the wall is loose and dilapidated, so it's dangerous to hike through. You'd better go with some friends or hire a local guide. 2. Do not take photos while walking. If you want to take photos, stop and find a safe place. 3. Bring enough water with you. There is no water on the wall. When drinking water, we suggest you sip slowly instead of gulping. Drinking too fast will make you feel thirsty sooner. By the way, there are no toilets on the wall. 4. The wall is badly weathered and rocks crumble easily. Be cautious. As the road is shabby and dilapidated on the way, scrambling up is sometimes the best and safest way to move forward. Hi, we are trying to hike from Jinshanling to Simatai. How can we get to the water town from there? I heard the classic Jinshanling to Simatai hike is closed. 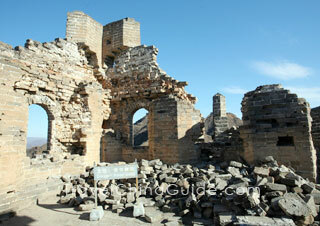 Since Simatai Great Wall has belong to a part of Gubeikou Water Town, the road has been blocked. "Jinshanling– West section of Simatai" not possible??? Last Oct 2018, I tried hiking from Jinshaling to the said west end of Simatai. However, after 2km, I was stopped by a sentry. They won't let me to the 2nd detour nor get out of the tower after it (which wasn't safely possible). That's around 3km from the starting point in Jinshaling. Any reason for this? When will it open? 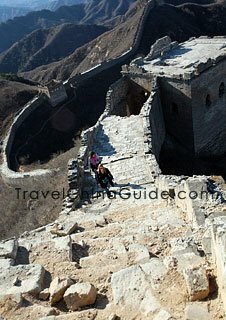 Other longer trips that's possible along the Great Wall? It seemed to be possible to hike to Simatai from Jinshanling Great Wall before, but now I hear from local people that Simatai Great Wall is divided into a part of the Gubei Water Town scenic area, and the defense tower between the two sections of the Great Wall has been built with a wall, and it seems that it can't be crossed again. Which section is better for photography in winter? Jinshaling or simatai? 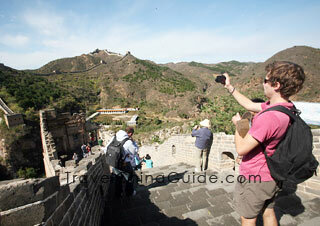 Both sections of the Great Wall have their own attractions and are places where photography enthusiasts gather to take pictures. But both sections of the wall are wild, and both are famous for their wonderful dangers. If there is snow on the wall in winter, it will be more dangerous. The best time to take pictures is from May to October of the year. 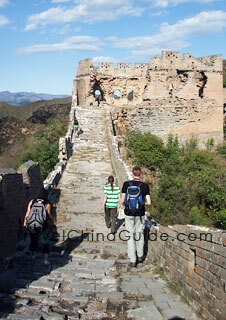 During that time with good weather, you can walk the two sections of the Great Wall together. The Simatai Great Wall can also visit at night to catch unique and amazing night-view pictures. 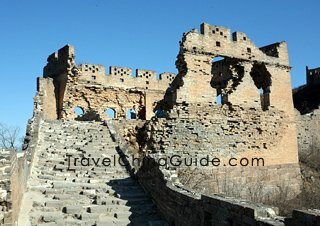 And Jinshanling attracts many photographers and hiking enthusiasts for its wide vision, dense enemy buildings and unique architectural defense system. If you still would like to climb in winter, you are advised to choose a section of the open scenic area for tourist to climb. Many thanks for your response David. Is there any other section that you would recommend to be visited during winter instead of those two then. 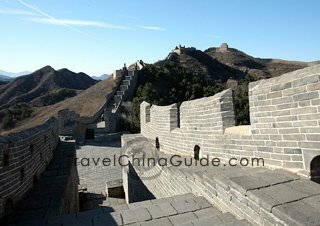 If you insist on taking pictures of the Great Wall in winter, I kindly suggest you go to the Badaling Great Wall or Mutianyu Great Wall. 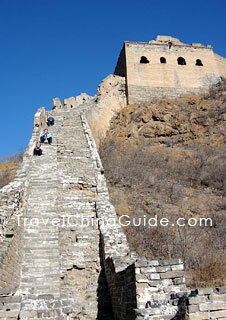 The Badaling Great Wall is well restored, though there are many tourists. And Mutianyu, with less tourists, also has magnificent scenery. Since the weather on the Great Wall is chilly with heavy wind in winter, you should wear layers and choose one pair of non-slip shoes. What time is the last transport from Shimatai to Beijing? Are there taxis in the area? I want to see Shimatai at night but I'm reading that 19:00 is the last bus on weekdays. As far as I know, there are direct shuttle buses available which start from Dongzhimen Transit Hub to Gubei Water Town Scenic Spot. The bus ride takes around 2 hours. And the last bus from Simatai is at 21:00. Taking taxi is not recommended as the charge is very high. 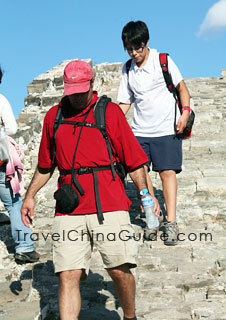 If you are interested, you may also stay a night at the Water Town and climb the Great Wall at night without hurry. 21:00 is the last bus on weekdays too? I plan to go back to Beijing. If I stay in Gubei, I have to bring my check-in luggage along the hike from Jinshaling. Yes, the last bus depatures 21:00 every day. It is fine to return to Beijing downtown at night considering the heavy luggage that you take. Spring and Autumn are the two best seasons to climb the Great Wall. However, I would like to remind you that the path between Jinshanling and Simatai are closed now, so it is impossible to hike through these two sites. You are suggested to visit one of the sections.